Stockholm is full of museums. It offers everything from history, art, animals, marine, architecture, photography, royal etc. 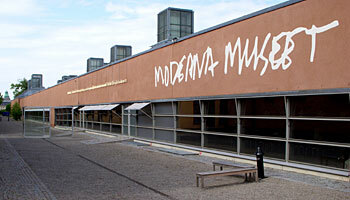 Below we present few different museums that you can visit during your stay in Stockholm. From Feb 2016 you can go in for free to many museums in town. 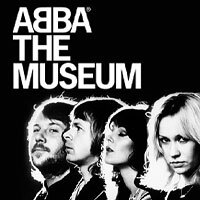 Finally, they have their own museum - ABBA. 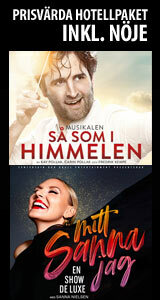 Here you get to meet the band members Agnetha, Björn, Benny and Anne-Frid. Via audio guides they tell you about their career with ABBA. View costumes, gold records, original stuff from the victory in the Eurovision Song Contest in 1974 when they won with Waterloo and after that nothing was the same any longer for the group. 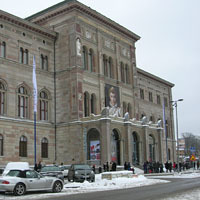 Nationalmuseum is the leading museum of art and design. The museum was completed in 1866. Here you will find art, paintings, sculptures and drawings, etc. from the 1500s to the 1900s. Here you find a lot of Swedish art such as the Midsummer dance by Zorn. Nationalmuseum has the largest collection of miniature portraits. Recently, the museum received a fantastic miniature painting of Queen Elizabeth 1 of England's portrait from the 1500s. There is also a restaurant and shop. 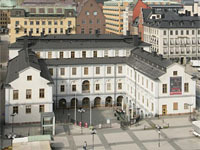 Nationalmuseum is currently undergoing renovation and the museum has moved out to Academy of Art (Konstakademien), Fredsgatan 12, and to the Nationalmuseum Design in Kulturhuset Stadsteatern at Sergel Square. National Museum is expected to open again around the turn of the year 2017/2018. Museum of Modern Art houses one of the world’s finest collections of 20th and 21st century art. There is also a photographic collection. The museum was opened in 1958. Here you can view the works of Pablo Picasso, Salvador Dalì, Henri Matisse, Meret Oppenheim and Robert Rauschenberg. The museum has both a shop and a restaurant. City Hall, with the spire Tre Kronor (Sweden Coat of arms) on the top is probably one of the most famous buildings in Stockholm. It has become a symbol of the capital. Here you can go on a guided tour. The tower is 106 meters high and the building consists of 8 million bricks. 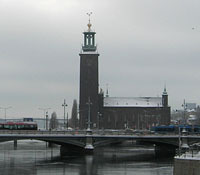 City Hall is a place of work for Swedish politicians and officials, about 200 people work here. 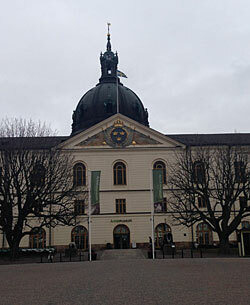 But City Hall is also the venue for celebration when the Nobel Prize banquet is held here each year on December 10. Nobel Prize winners, politicians and royals and guests dine in the Blue Hall and after dinner, it will be dance in the Golden Hall. City Hall may only be visited by guided tours. At certain times the tower is open to visitors and you get a great view out over Stockholm. In the City Hall Shop, you can shop for souvenirs. 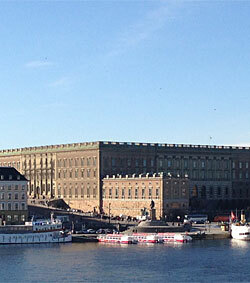 The Royal Palace is the official residence of King Carl XVI Gustaf and his family. The palace is built in baroque style by architect Nicodemus Tessin and has more than 600 rooms on 7 floors. The castle is in itself a museum with its stunning rooms and its history but in the castle you will also find the Treasury with the regalia, the Tre Kronor Museum which tells the castle's medieval history and Gustav III's Museum of Antiquities with sculptures from ancient times. Here is also the Royal Chapel. A popular attraction outside the castle's is the royal guard. So do not miss the change of the guards. A tradition since 1523. A guided tour is a nice way to discover the Royal Palace. There are special tours for children. Shop for souvenirs in Slottsboden. They Palace can be closed or partly closed during certain days. Entrance: Free entrance under 7 years. Aquaria is similar as Universeum in Gothenburg. Here you will experience the rainforest with its tropical heat of +28 degrees, thunder and rain, tropical seas in the marine aquarium where leopard shark swims around. The aquarium also have corals, anemones, shrimp, clams, sea cucumbers and sea horses and much more. After the tropical heat it can be nice to get into the Nordic part. Do not miss out when the fish are fed. Here you can feel the history when you walk around in this museum. Here is a shop where you can buy a little different gifts or a memory to you or a friend. Here you can go on a journey through the history of Sweden for 500 years. Several large collections (weapons, coats, guns, banners etc) with over 100 000 artefacts from the 1500s until today. 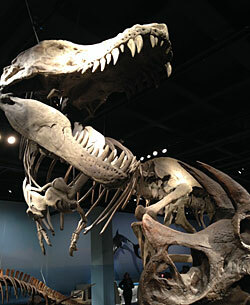 A large collection available is among others the big trophy collection that is one of the largest in the world. The museum focuses on how people have been affected by conficts and wars through the years. Want to see stuffed animals, before and after the dinosaurs, life in the water, learn more about our climate etc - visit the Natural History Museum. Do you have some spare time maybe a visit the Cinema Cosmonova (own entrance). Here you can watch movies that give you entertainment while you hopefully get more knowledge in the subjects you are watching. You are surrounded by a large projection screen above your ead and sits lightly leaned back in their chairs. A different experience. On August 10, 1628 during its maiden voyage Vasa is capsizing and sinks in the Stockholm harbor. Trying to salvage the ship fails. 1956 the ship is found outside Beckholmen and it was at 32 m depth. 1961 Vasa breaks the water surface after 333 years on the ocean bottom. The Vasa Museum opened in 1990. 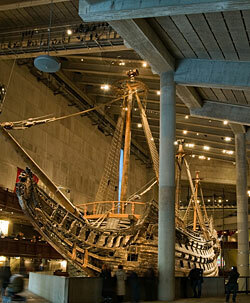 Today the Vasa Museum is the most visited museum in Stockholm. Come and see this fantastic wooden ship (a war machine), meet people on board and see the fine sculptures. Entrance: Fee, free entrance under 19 years. 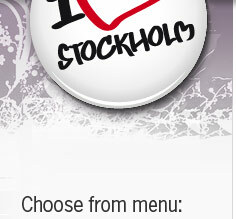 Are you interested in the city of Stockholm, you should visit the Stockholm City Museum. You can see objects found during archaeological excavations in Stockholm, objects that have been preserved as buildings were demolished or renovated, art / drawings of Stockholm views. Here you can also view Carl Michael Bellman zither as it is said that he learned to play on as a kid (from 1695). 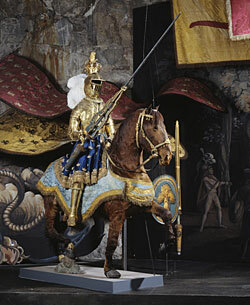 More about the history of Stockholm you will also find at the Museum of Medieval Stockholm. The museum describes Stockholm during the Middle Ages, how it was to live here, poverty, the church, war, crime and punishments. The City Museum is closed for renovation to reopen during 2018. you can visit the Faktarummet at the Stockholms Stadsarkiv, address: Kungsklippan 6, Kungsholmen.